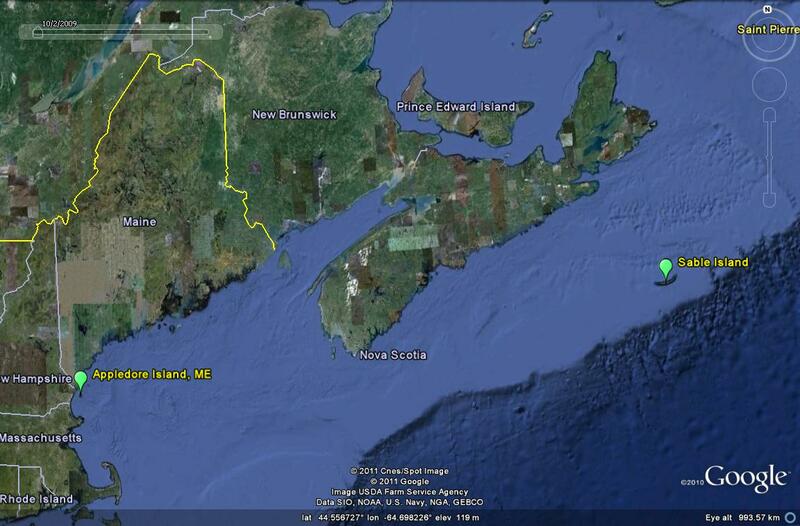 Last week David Holmes reported the first re-sighting of a Great Black-backed Gull that was banded from Sable Island. On August 18th, a first year gull bearing the green band “AAR” was spotted on Appledore Island off the coast of southern Maine. On Sable, this individual was banded as a chick on 17 June, 2011. Coincidentally, Appledore is the site of another gull colour marking program run by Dr. Julie Ellis at the Shoals Marine Lab. The veteran bird spotters that were on this trip to Appledore were baffled when they first encountered bird AAR. On Appledore, BLACK bands have been used on Great Black-backed Gulls and GREEN on Herring Gulls with one alpha and two numerals. So neither colour nor codes of Appledore matched this sighting of the young, banded gull. A series of listserv posts and emails eventually brought this report to me. Thanks for the report. Let’s see if we can spot an Appledore gull on Sable now! 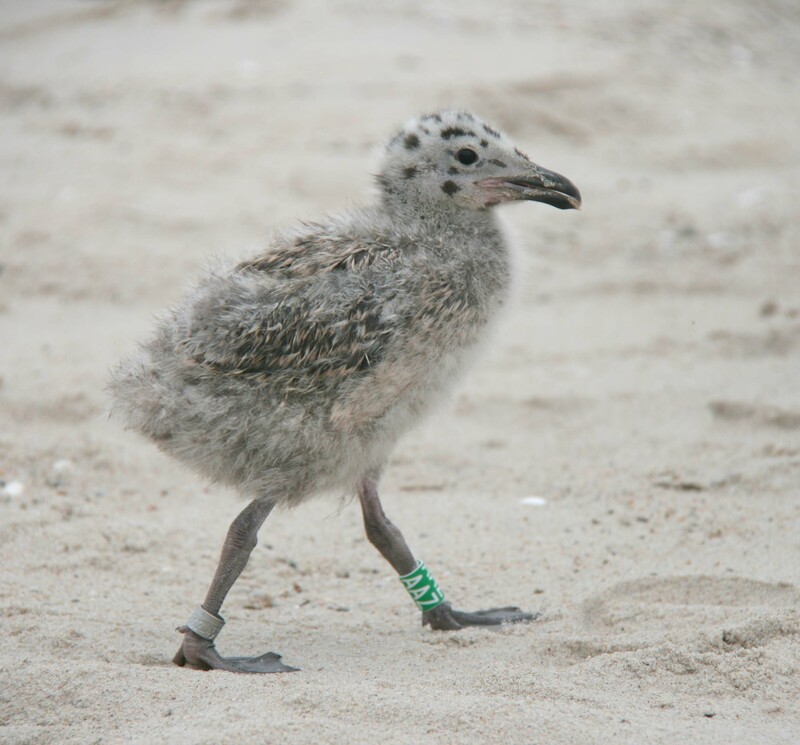 A Great Black-backed Gull chick banded on Sable Island (17 June 2011) was re-sighted on Appledore Island in Maine (18 Aug 2011). That is very cool…I think I will have more of an appreciation for the gulls of Sable Is. through your project.